To complete your garden, patio or driveway installation we can install brick, concrete or stone steps. If you’re elderly and need special access we can install ramps to make areas accessible. 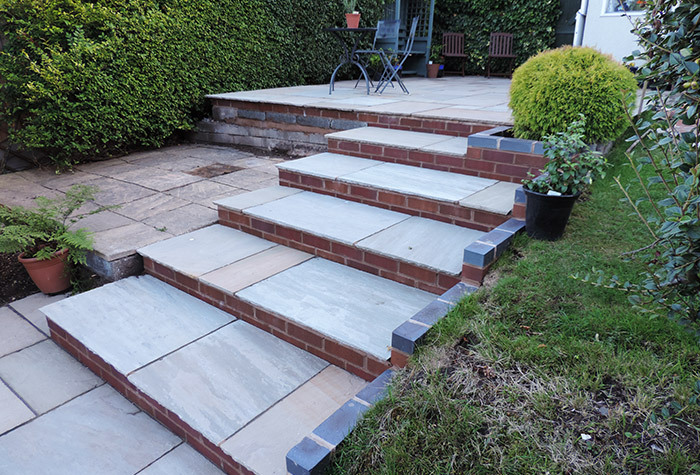 Whether it’s garden steps, a decorative door step or just to create a raised brick area we can help. We can use any mixture of bricks, slabs and cobbles to perfectly match your garden or driveway. Brick & Slab Step Gallery Examples of our completed brick step and brickwork installations.